The pre-admission appointment will take approximately 15 minutes. At this time your questions will be answered and you will inform us of your cat's feeding pattern and likes and dislikes. All cats taken into and released from the facility must be in a carrying case. No cat may be carried into or out of the facility in the arms of its owner. If the owner does not have a carrying case, we can provide one at an additional cost. To maintain a parasite-free environment, we ask that your cat be checked for external parasites such as fleas/ticks before coming in. A veterinarian-recommended flea preparation can be used prior to your cat coming in. There are no restrictions on food or water for treatment day. Your cat can eat and drink normally prior to admission. You may bring food, treats, and few personal objects/toys/bedding to be given to your cat while in the therapy center. These cannot be returned due to radiation safety regulations. We reserve the right to limit the amount of material which can be left for a pet. Your cat will receive one injection of the RadioIodine (I-131). After the injection, your cat will be closely monitored for health and RadioIodine (I-131) levels during the stay. Your cat will be housed with us for 3-5 days. New York State mandates that your cat must be held for 5 days if there are any pregnant women or children under 12 in the household. The Thyro-Cat centers are spacious, comfortable, climate-controlled, and complete with videos for your cat to enjoy. Due to state and federal mandated safety regulations, unfortunately there is no visitation during your cat’s stay. You will receive a call daily from our Thyro-Cat main office with an update on how your cat is doing during the stay. When the level of RadioIodine feline hyperthyroidism treatment being emitted from the pet is below the level the State and the Nuclear Regulatory Commission mandates, and we feel it is appropriate, the owner is contacted and an appointment is made to discharge the pet. 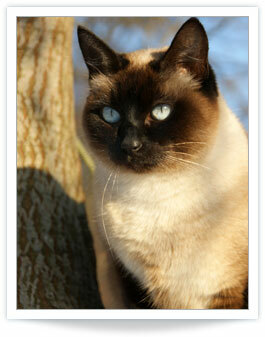 Arrangements can also be made for clients who wish to have their cat stay with us longer. This extra precaution attests to our commitment to assure the therapy is conducted in a manner that is most beneficial to the patient, safest for the owner, and reflects favorably on the referring veterinarian. When released from the facility, the cat is monitored by the referring veterinarian to assure that he or she has responded appropriately to the therapy. The referring veterinarian receives a summary sheet outlining the health care treatment given to their patient while housed in our facility. Included in this summary sheet are the recommended monitoring steps to be performed after release. The referring veterinarian may interact with the specialists as needed. This one-time treatment is sufficient to normalize thyroid function in 98% of cases. However, if in the rare case, sequential thyroid function assessments indicate persistent hyperthyroidism, or recurrence of the hyperactive state, then another course of I-131 may need to be scheduled if deemed appropriate. When the patient is released from the facility, the owners will be given RadioIodine safety information and instructions on how to manage their cat's waste. If you have any questions or concerns, please call Thyro-Cat.